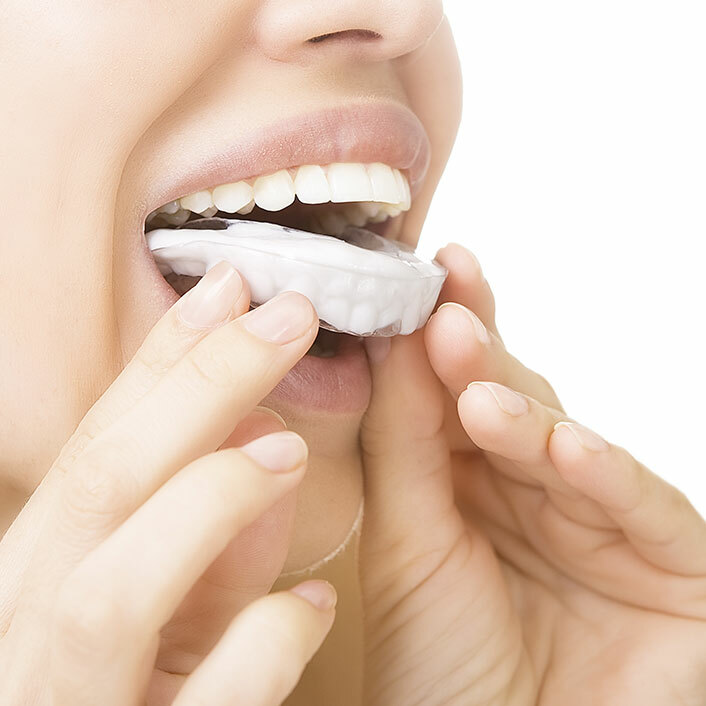 Nightguards, or occlusal guards, may be recommended for patients who have a history of clenching or grinding their teeth during the day or night. Our doctors will determine if you need an occlusal guard by checking the health of your jaw joint, looking for wear on your teeth and asking a few questions about your dental history. Although occlusal guards do not stop the habits of clenching and grinding, they protect your teeth from any further damage. There are many different types of occlusal guards available and our staff will determine which type is right for you.